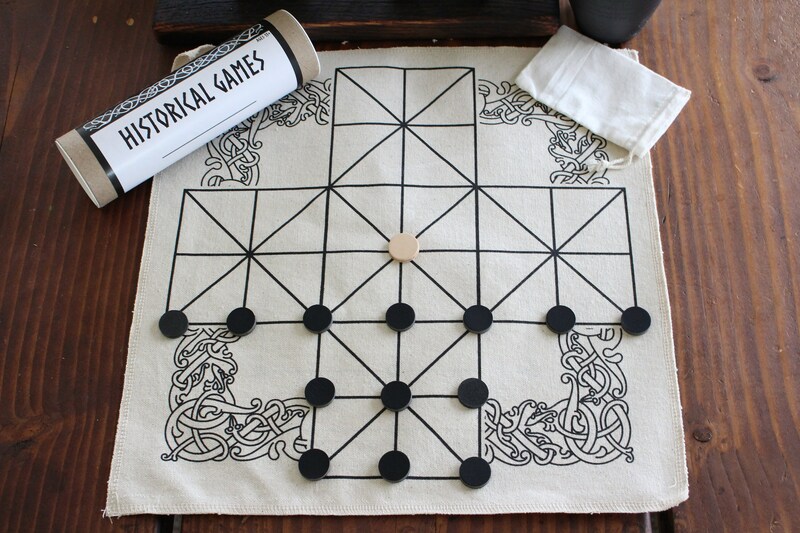 Fox and Geese was played during the Middle Ages (1100-1453 CE) and is thought to be related to the game of Hnefatafl. 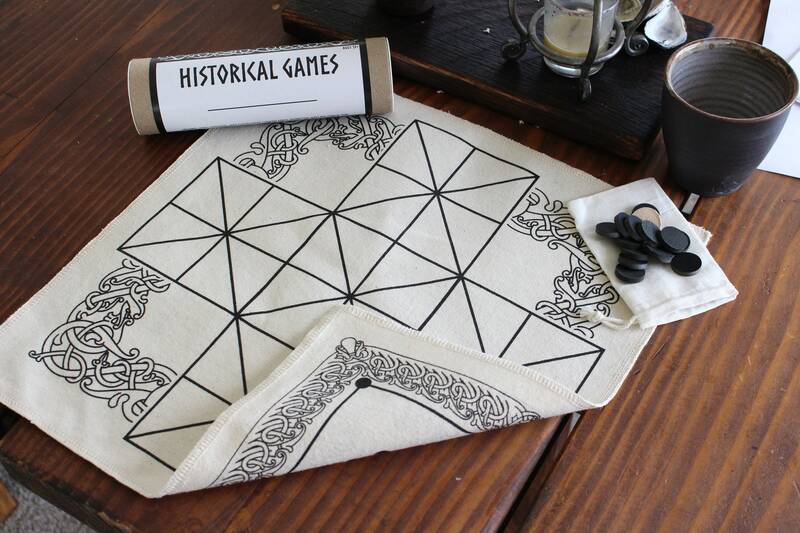 Historical documentation from the 1400s shows “fox and geese” game pieces being purchased by King Edward IV. Morris​ was played extensively during the ​Middle Ages​ (1100-1453 CE), and potentially even as early as 1400 BCE! 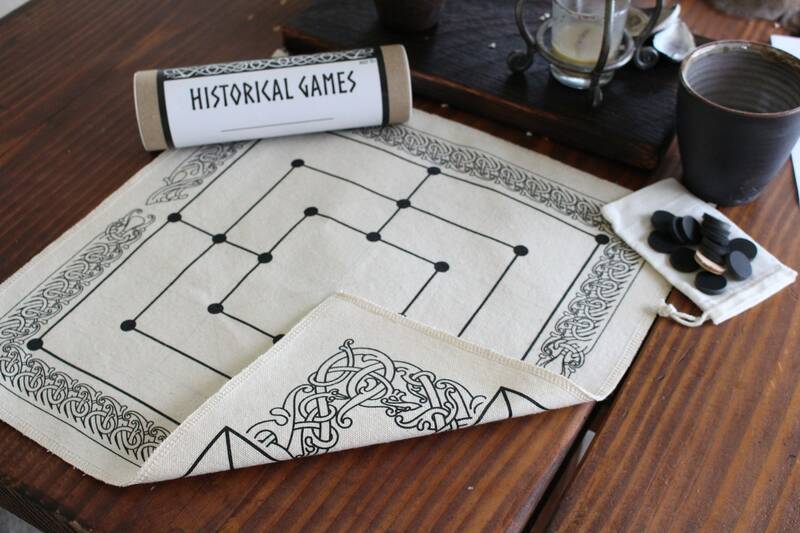 The name comes from the Latin word ​merelles​, meaning “Gaming Piece,” and there are many variants of the boards, pieces, and rules! 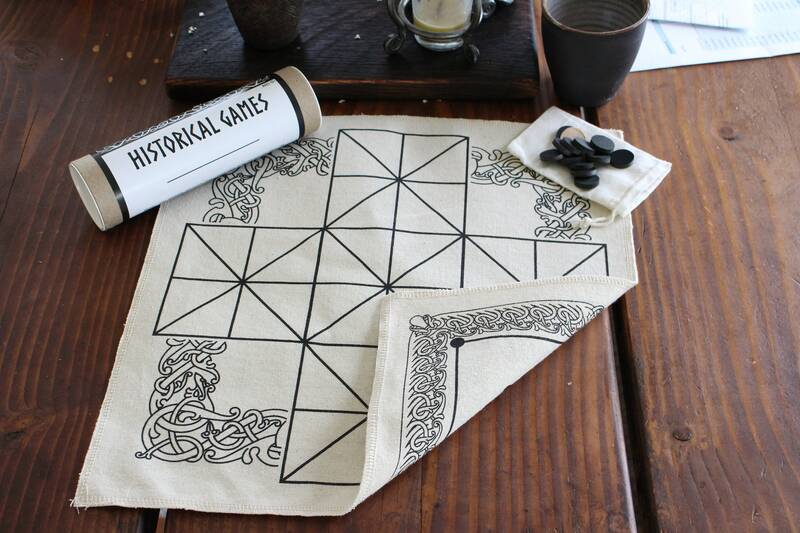 Two games, "Fox and Geese as well as 9 mens morris. 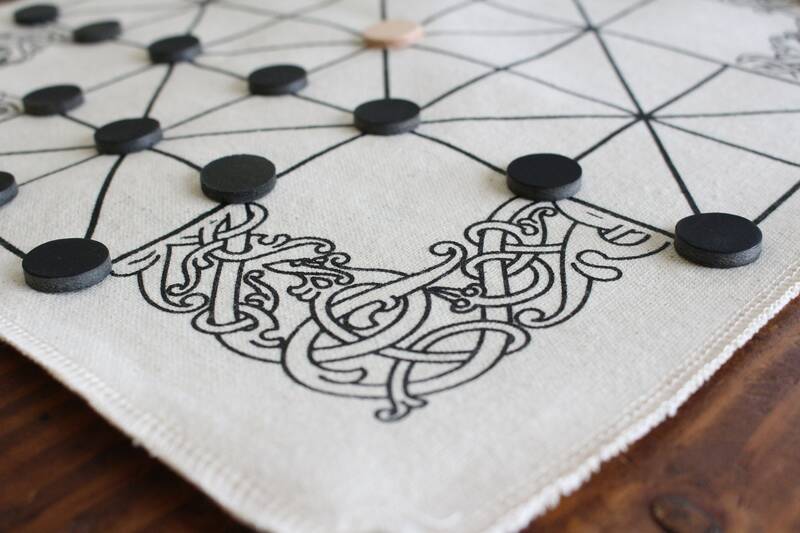 13 black circle leather playing pieces (geese). 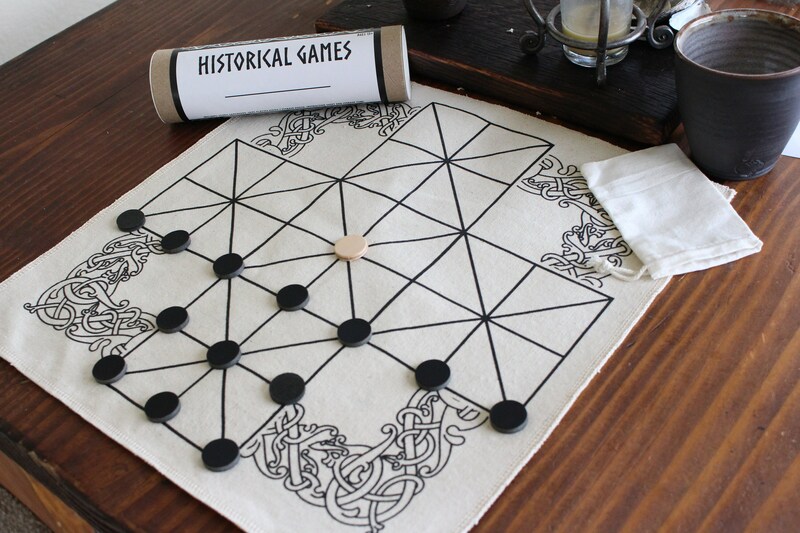 9 white circle leather playing pieces (fox). Rules for both games is included with alternative versions.